Money games and money activities are a great way to get children familiarised with money in a fun and more creative way. They’re also a great way for your kids to help with chores 😉. We’ve found some fun games ranging from offline board games and activities to online computer games, starting with the simplest to the more sophisticated. Before getting serious with real cash, how about helping your children create their own money? Similar to our star feature in the Rooster app, introducing the concept of money with familiar items is a great way to get started on the financial education path. 2. Choose a currency you want your family money to be – you’re now your own country! You can also use different colours: a blue for a £1 bill, a red for a £5 bill, green for £10 and so on. 3. Once you’ve got the colours, time to draw! Choose a family member or a pet (or the Queen!) and draw their face on the notes. 4. Once that’s all done, you’ll have 10 £1 notes, 10 £5 notes, 10 £10 notes and 10 £20 notes. Count up all the kids’ money, put it into a special money bag and there you go – your very own family bank! You can use this money as a simple distribution for chores, to talk about money or to practice playing maths games. As always, make sure to give back the proper change! Another fun game combining chores and money! Before the shopping starts, choose an amount that you want to spend on shopping that day. Let’s say it’s £100. Using a pencil and notebook, draw a line down the centre of the sheet of paper dividing the sheet into two columns. On the right, write the total budget – in this case £100. On the left, write the shopping and list of ingredients to be bought that day. Next, head to the shop! Every time your child finds one of the items, add it to the basket and cross it out on the list. Then ask your child to subtract the price of the item (e.g. £4.50) from the original £100 budget and then keep a running total. At the end of the shopping trip, compare the number against the number on the receipt. Did your kid stay within budget? This game is an excellent way to show your child that food at home doesn’t appear out of nowhere – someone has to buy it. Doing this activity shows not only the value of different items, but also gets them into maths mode! You can check out these other shopping games for kids for more activity ideas. They’ve bought some stuff in real life, now time to practice online! 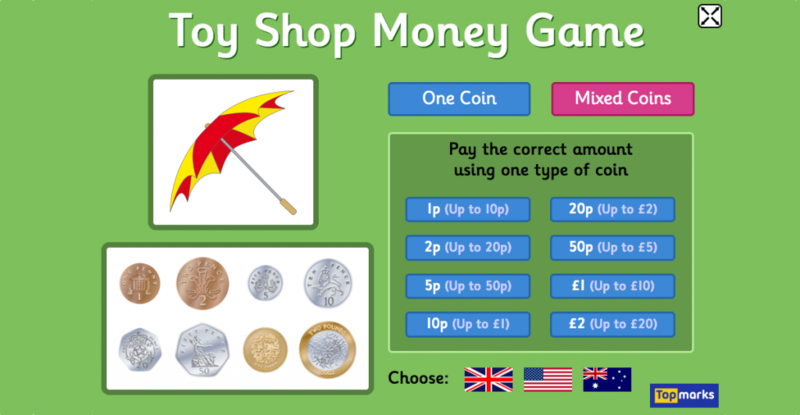 The Toy Shop Money game is a simple way to practice buying and getting the right change. In one mode, the player needs to use coins by adding and subtracting the correct amount of money and buying the toy. In the second mode, they need to be counting coins and work out the exact change from the amount given. There are different levels, starting with only 1p coins to some more complicated levels. In this game the age ranges from 4 to 11 years old. Although a simple game, it helps practice the idea of giving the exact amount and working out the change. It’s also a great place to start with very young children who need to practice. So next time you go shopping with them, you can get them to work out the change too! A classic board game we’re still very fond of even as adults. This is one of the great games for kids of all ages to learn about of money. You can play an adult version or try a Junior version if you feel this is more apt for your kids (great for 5-10 year olds). Whether playing as a banker or regular player, your child will be responsible for making financial transactions such as buying and giving change. Great for practicing maths skills as well as getting comfortable with different coins. The importance of holding cash: Many times, kids want to buy up everything they can on the board. However, they quickly learn that spending too much means not meeting financial obligations. This is a great time to encourage kids to think about the future and plan accordingly. Living within your means: When you ‘Pass Go’ you’re basically earning a paycheck from your job. Use this to talk about the value of living within your means and not overspending. Explain to your child that this is what living from paycheck to paycheck actually means. Everyone starts the same but ends differently: People can experience rough patches by being dealt a bad hand, and also sometimes get lucky. This also happens in real life. Use this lesson to encourage your kids to take advantage of opportunities, and not get too discouraged when problems arise. A more complex but still very fun online money game for kids (age range 7-12 years old). 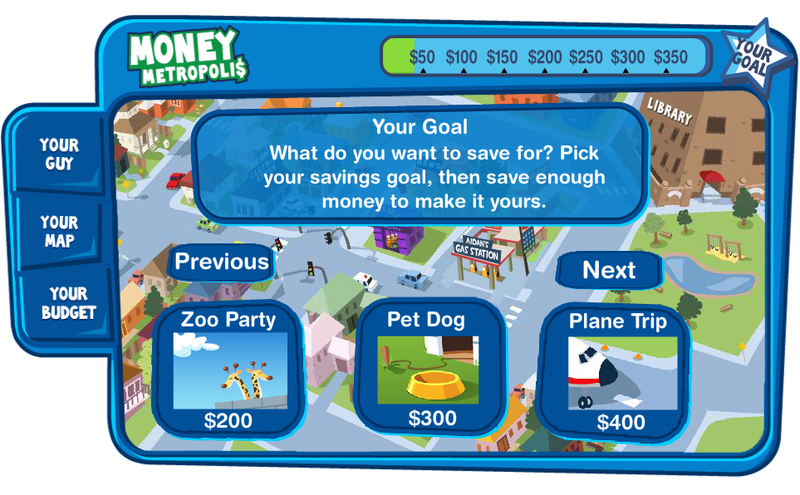 Money Metropolis allows young children to live in a virtual world where they need to make life decisions that will affect their virtual bank accounts, allowing them to grow or shrink their money. 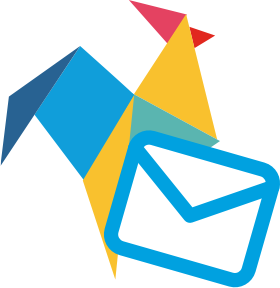 Your child starts off by choosing a savings goal in the first screen and then an avatar. With this avatar, they are then free to explore the town and make money. They make money by going to neighbours and doing small tasks such as raking the yard and babysitting their sleeping baby. They can also spend money on sweets and games. They then (hopefully) see their virtual piggy bank grow towards a chosen savings goal. The game encourages the player to complete tasks well – if you crash the mower too many times, you don’t get paid! It also teaches your kid why you don’t want to give into temptations; spending all your money on Pacman means you won’t ever reach your goal!